How long will it take me to learn how to play the harmonica? A friend of mine--a harmonica teacher who runs another top website--claims that you can learn to play “some of your favorite songs” if you’re willing to jam along with his 7-minute videos only 3 times a week. That’s 21 minutes a WEEK! No muss, no fuss. I can't make you that sort of promise. But perhaps I have a different sort of competence in mind. I DO want you to have fun. But I’m also looking to transform you into a legitimate blues harp player. I'll teach you how to make those funky, mournful sounds--those bends, wails, and warbles--that you've always wanted to make. I'll break down everything--every song, every lick--into component parts. I'll explain slowly and patiently HOW the sounds are made. I'll show you how to keep a beat, and how to set melodies in motion. 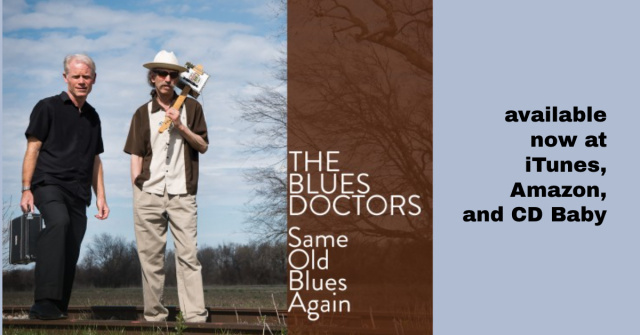 I'll share the wisdom I've accumulated over a 40-year career as a professional blues harmonica player and teacher. I'll teach you how to honor the song inside you and share it with the world. I won't hold your hand, but I WILL help you achieve your dreams. You might end up getting up at a jam session and blowing people away. You might sit in with a guitarist, or a band. You might JOIN a band. Many of my students, starting from scratch, have done those things. Or you might just relax at home, tooting on the harmonica and thinking "I can DO this! I'm actually playing the blues!" This website can't substitute for a flesh-and-blood harmonica teacher--somebody who listens to you play and offers feedback, guiding your development in a hands-on way. But my videos, tabs, jam tracks, and music can take you far, if you're willing to put in the work. And the priorities I set--including the techniques and styles I introduce through my lessons and the list of Top-20 players I point you towards--can save you valuable time. Just below, you'll find a number of useful resources that can quickly send you on your way. "Raw Beginners Start Here": For absolute novices. If you were my private student and you showed up for your first lesson, I'd spend most of our first hour together showing you the basics: How the harmonica is put together; how to hold the harp; how to play single notes; how to play your first scale; and how to troubleshoot several basic problems that raw beginners always confront. "Oh Susanna": a classic American folk song, adapted for harp. "Same Old Blues": an excellent workout for developing players who don't bend much (or at all) and want to play something that is recognizably a blues. "Bending the 4 Draw": For most beginners, the 4 draw bend is easiest--and therefore the first that I've always introduced to my students. This video offers a wealth of tips, metaphors, and suggestions to get you bending and bending well. "Counting and Playing Your Way Through a 12-Bar Blues": an extra-long (45+ minutes) and extra-important lesson for beginning players. In response to popular demand, I've done my best to demystify the 12-bar blues format and help you navigate your way through a foundational experience. This lesson contains one video and two FREE tab sheets! "Tongue Blocking I": An introduction to one of the key techniques for blues harmonica players--the one that gives you the "big sound," including octaves, splits (such as the 25 draw), counter-rhythms, and a range of textural effects. FIFTH, if there's one book I'd recommend to beginners, it's Blues Harmonica for Dummies by my longtime friend, Winslow Yerxa. Winslow isn't just a great player, but he's been teaching the harmonica at a very high level for a long time. 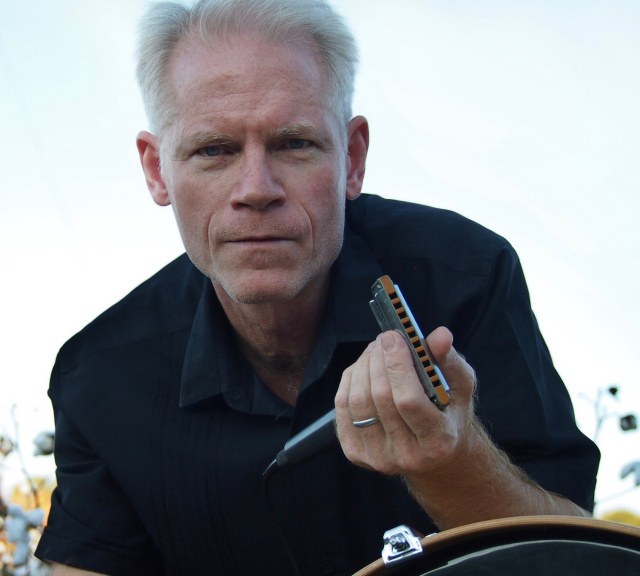 Back in the early 1990s, as the publisher of a newsletter issued by his Harmonica Information Press, he was tabbing out Jon Popper's ridiculously fast solos--one of the many ways in which he served the harmonica community. He is the former president of SPAH: The Society for the Preservation and Advancement of the Harmonica. BUY THIS BOOK! SEVENTH, when you're ready to move on and up from the beginner's lessons to the harder stuff, please visit the Store. You'll find all of my digital lessons--beginner, advanced beginner, intermediate, and advanced intermediate--listed there in order of increasing difficulty. EIGHTH, if you know by now that blues harmonica fascinates you and you want a low-cost megadose of information and ear candy to start you on your journey, think about purchasing this extended interview that I sat for with David Barrett of BluesHarmonica.com. It consists of twenty 7-10 minute videos that cover every element of the instrument, including my own journey from where YOU are standing to where I presently stand as a working pro. It comes in the form of a big zip file. Only $5! Read more and preview an entire video HERE.